I know this isn’t a countdown of favorites or anything, but, still, when one is challenged to pick anything, one wants one’s choices to be good, ya know? Picking five adult characters from anime might sound so easy that I could draw names randomly out of a hat, but I found it strangely difficult. This is primarily because… well, how much of anime is dominated by protagonists which are teenagers or even younger? Seriously, how many anime are there where adults are so rare that the kids are actually living alone without them? Adults seems to be relegated to the background, if they’re even present at all, a disproportionate amount of the time. So, even finding five adult characters to pick was challenging. And that’s before even going into what adults are actually worth picking as adults! As in, these are good examples of behavior from adults! How to pick five of them? How, how, how?! From the first moment we meet Bear, he is a mature, mentoring figure. He watches out for others, especially his juniors, even in a game. He’s a protector, driven by compasssion, but behaving with reason. When Bear encounters Tsukasa, he could look the other way, but instead he involves himself. He fights, and fights hard, to help this wayward child. When a friend, BT, tells him that his interference will beget obligation, ie, either he should leave the situation alone or he should go in with the intention to take responsibility for what he finds, he chooses the latter. As a detective in real life (which is just plain cool and speaks to his capabilities), he is able to learn the truth of Tsukasa’s home life, and he files to be a foster parent. When he tells this to Tsukasa, he makes it clear that he doesn’t want to pressure them into anything. He merely means to provide an option, a chance at a better life. 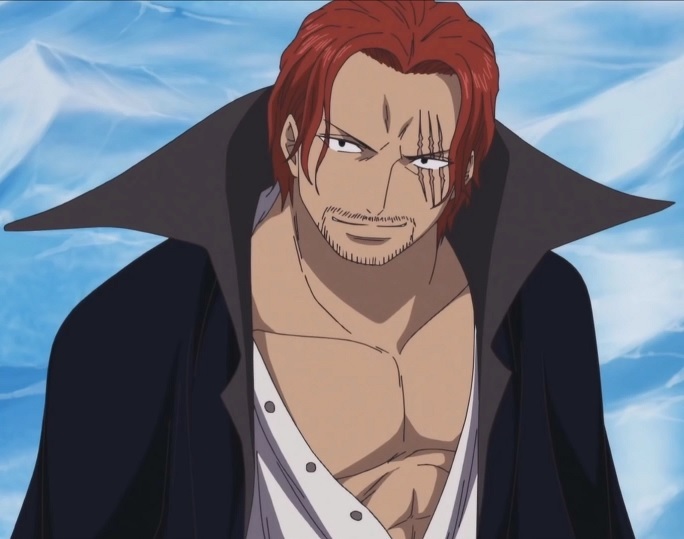 Speaking of fatherly and mentoring, we have Shanks, common known as Red-Hair Shanks, a notorious, formidable pirate, and a truly decent man. To a young Luffy, Shanks was an outstanding example. As a pirate, he was free, but he was also strong and sensible. He didn’t much care if people were less than courteous towards himself, but he did not allow anyone to mess with his friends or threaten a child while he was around. The lessons he taught to Luffy, Luffy has applied, and prospered by it. And when it came down to it, Shanks did not hesitate to either risk his life or lose his limb saving a little boy. Throughout the ensuing series, Shanks has been shown to have keen insight, such as when he sensed the danger of Blackbeard’s scheming, as well as the compassion and resolve to act on what he believes. When the battle at Marineford had reached a breaking point, Shanks stepped in, ending the conflict and saving lives on both sides. And he has almost always had this infectious joy, this ability to look beyond differences and just have a good time with everyone who’s willing. There is something to be said for all of that. 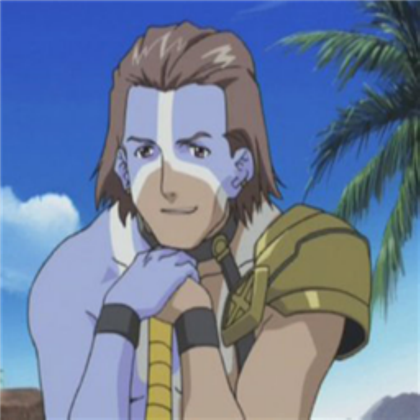 This biology teacher’s interest in demi-humans may be academic, but his care and consideration towards them is perfectly compassionate. Not only does he learn about them, he uses his knowledge to help them. He brings them together and watches over them as they become friends. He is driven by his interest, but he always controls that interest, never losing sight of their humanity. Heck, it’s so reflexive for him that when he meets a succubus, he behaves normally and respectfully towards her, which is something she’s not much experienced. 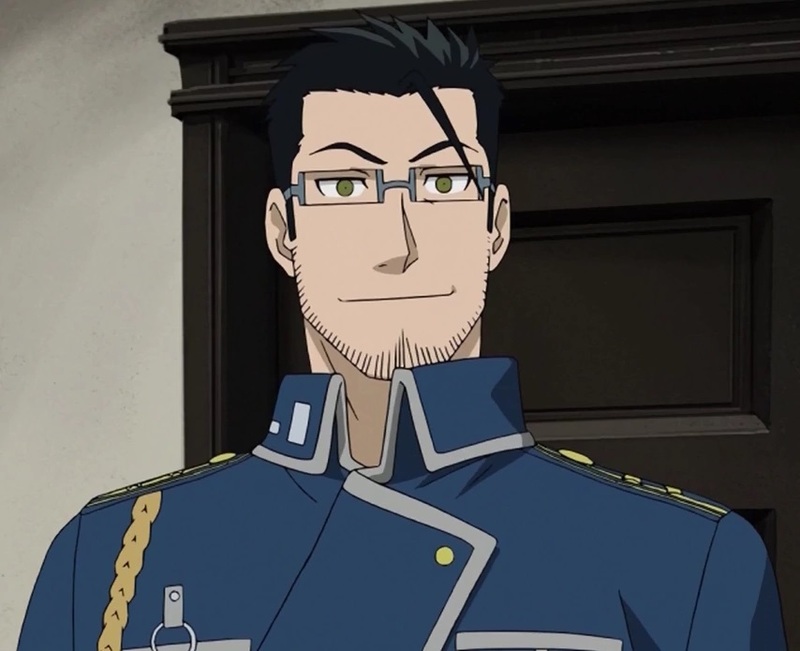 He cares so much that, when another teacher warns him that he might be becoming a hindrance to the demi-humans’ integration into the school, accidentally keeping them from making friends with human children, he does not hesitate to limit his interactions with the girls I question. This is despite how much he enjoys being around them. It is a tremendous personal sacrifice, and one which could easily have been counterproductive, but, again, when he sees the situation more clearly, he alters his behavior again, for their sake. There is something very admirable in that, I think, in possessing such a capacity to care and the willingness to act on it, combined with the reason and rationality needed to control it. He is, after all, a teacher. Here’s the thing about most of the heroes who swear never to kill: they do it out of idealism. No offense intended, but I find that a bit short-sighted nowadays. Such intelligent, loving, capable people, but missing a crucial part of the big picture. 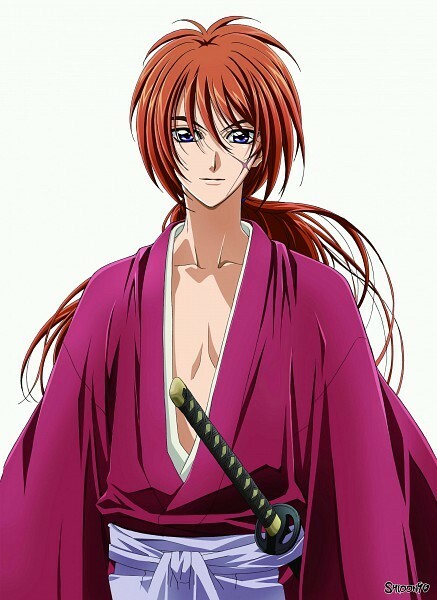 But not Kenshin. No, his vow never to kill comes down to remorse for the lives he’s already taken. He understands the harsh realities of the world better than most. He is no starry-eyed idealist, he has learned hard lessons through bitter experience. Yet, for all that he has lost and endured, he maintains a cheery disposition. He laughs easily and loves whole-heartedly. He imparts his wisdom freely and he does not hesitate to put himself on the line whenever necessary. He is, in short, a most respectable adult. I could probably just say, “‘Nuff said,” couldn’t I? Smart, cunning, funny, a hard worker, a loyal friend, a patriotic man, a devoted husband and father… he is one of the best and most lovable men ever to grace the screen, animated or otherwise. And on that note… see you next time! This entry was posted in 30-Day Anime Pick 5 Challenge, Anime and Cartoons, Challenge Accepted and tagged .hack//Sign, Fullmetal Alchemist, Fullmetal Alchemist Brotherhood, Interviews With Monster Girls, One Piece, Trigun. Bookmark the permalink. I think I’d mostly end up with college age characters… Theoretically, they’re adults.